A team of 70 scientists recently unveiled the age-old “secret” of the lotus plant that enables it to survive in extreme conditions for hundreds of years. 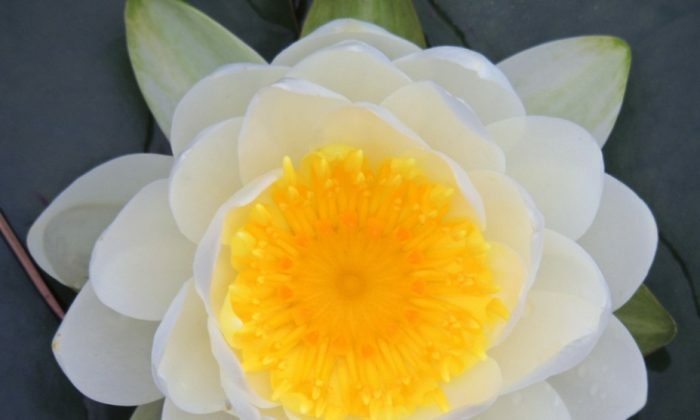 Researchers from the U.S., China, Australia, and Japan have sequenced the genome of the sacred lotus (Nelumbo nucifera), which is believed to hold secrets about aging successfully. “For long-term survival, the Nelumbo seeds are able to turn on genes that produce proteins for repair and sustain stressful environments. These genetic regulations are unique and valuable resources to be explored in this plant,” Shen-Miller told the Epoch Times. Shen-Miller said that a high percentage of the lotus’s seed proteins remain fluid even at boiling temperature; the heat-soluble proteins identified in Nelumbo are vital to combat stress. In the early 1990s, Shen-Miller led a UCLA research team in northeastern China that recovered an almost 1,300-year-old viable lotus seed from a lakebed—the discovery was remarkable merely for the fact that many other plant seeds remain viable for just 20 years or less. “It is one of the oldest viable seeds, directly radiocarbon-dated, and the most studied,” she said. Later on in 1996, she led another visit to China. Her team collected lotus seeds, approximately 450 to 500 years old, with help from local farmers in Liaoning Province. More than 80 percent of the seeds were capable of germination, indicating that the plant must have a powerful genetic system capable of repairing germination defects arising from hundreds of years of aging. The lotus’s unusual genome also gives it other survival skills: “Its leaves repel grime and water, its flowers generate heat to attract pollinators and the coating of lotus fruit is covered with antibiotics and wax that ensure the viability of the seed it contains,” according to the press release. Understanding the lotus repair mechanism fully would provide deeper insights into how the plant is capable of healthy aging. The newly annotated genome has opened up a new avenue of research to all fields of biology. “Further research in all directions is just the beginning,” Shen-Miller said. The research was published in the journal Genome Biology in May this year. A strong handshake can indicate power, confidence, health, or aggression. The strength of a person’s grip may also be a useful way to measure true age.